It was a wonderful session and a great platform for learning new aspects of Coaching. Thank you Anil for leading us through the amazing journey. Thank you for the wonderful coaching course. 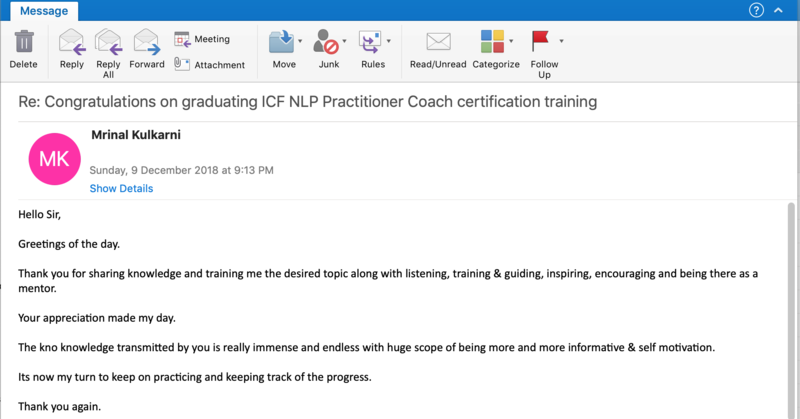 Thank you for sharing knowledge and training me the desired topic along with listening, training & guiding, inspiring, encouraging and being there as a mentor. This is Audumber from Nigdi. 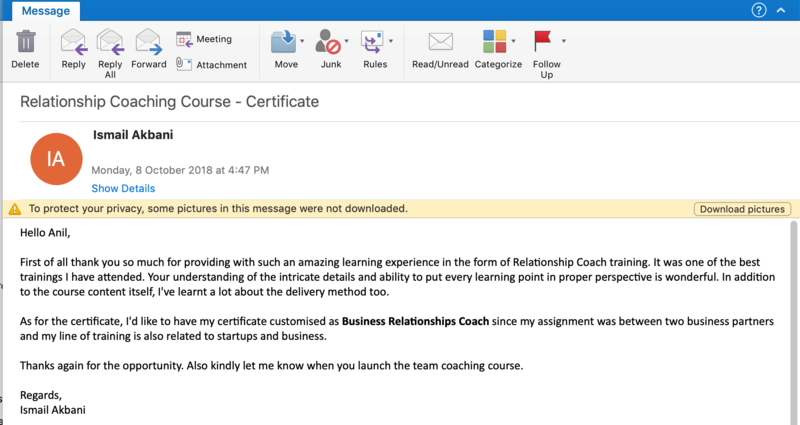 I've been receiving mails from Anil Dagia for the last 5 years. I had no idea what it is actually. After I attended the introductory session, I immediately decided to join it having no idea what it will be. This is Ram Bilas Yadav. I'm in IT profession. My name is Mugdha Amin. 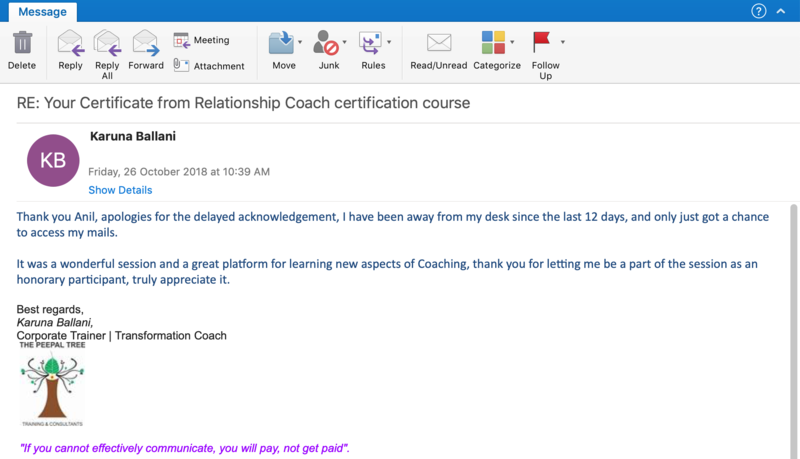 I'm a Instructional Designer and I wish to upgrade my skills to become a ICF certified trainer & coach.